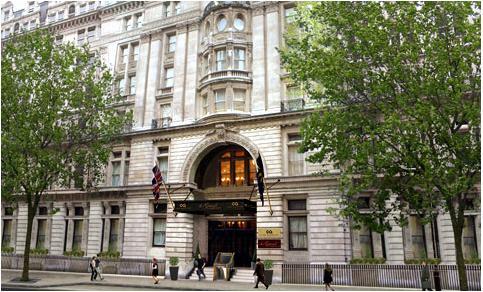 All UK based motorcyclists are invited to attend an annual civic dinner, organised by the No To Bike Parking Tax group on 9th March 2010 from 6pm onwards, just outside the Northumberland Hotel (right), Northumberland Avenue, off Trafalgar Square in Central London. Coincidentally, the bikers’ annual civic dinner will be taking place at the same time and venue as the Westminster Council’s one, during which all the Westminster Tory fat cats and their guests will be enjoying a nice evening out in the warmth of a first class London venue and at the expense of their victimised taxpayers, including motorcyclists who have been stealth taxed for parking for the past 18 months against their will. Since the Westminster Tories will be dining at the Northumberland Hotel on the £2 million or so that they have stolen from motorcyclists through the bike parking tax, the said motorcyclists are left with no money to hire a nice venue for their civic dinner this year, so they have decided to go for a free option which is a dinner “al fresco”, in the street, outside Northumberland Hotel. Although the bikers’ menu will be very basic compared with what the Northumberland Hotel will be offering their inside guests, a meal composed of eggs, flour, milk and baked beans with tomato sauce should be good enough to open the appetite of the Westminster Conservative fat cats and their guests as they enter the venue wearing the nicest clothes they have in their wardrobe for the occasion. 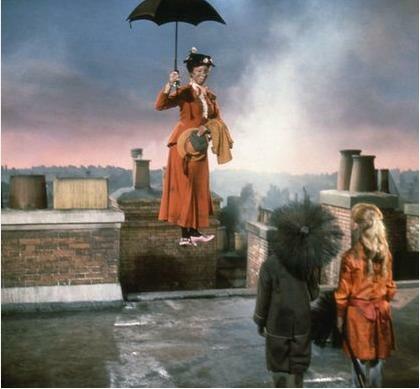 For those who will be attending Westminster’s annual civic dinner and prefer to avoid having their aperitif with the motorcyclists, perhaps you may want to join Mary Poppins who will be entering the venue through the chimney. We have inserted a picture of Mary Poppins on the right to show you what she looks like, but don’t forget to pay a visit to the Northumberland’s bathroom before joining the dinner party! As motorcyclists will be joining the party and having dinner in their open air venue, it is likely that they will unintentionally cause a little bit of congestion and disruption on the Central London roads from 5pm onwards, particularly in the Trafalgar Square area and around the Northumberland Hotel. On behalf of all of them, we apologise in advance for the inconvenience this may cause to your afternoon and evening, including those Westminster Conservative Councillors who will be desparately trying to park their polluting and congesting four wheel vehicles around the Northumberland Hotel, presumably using their free official parking permit. After all, when two distinct groups share the same venue for their annual civic dinner, parking is on a first come first served basis, so we would advise all bikers to come and park early to avoid disappointment and make sure they secure a space close to the venue. Of course, should the Westminster Tory fat cats wish to have a nice and peaceful civic dinner with their guests on 9th March 2010, all they have to do is scrap the bike parking tax by then, so that motorcyclists may decide to have their annual civic dinner in the comfort of their own home that evening. One simple decision can make a big difference. In the meantime, please join the No To Bike Parking Tax campaign group on 9th March 2010 outside the Northumberland Hotel, Northumberland Avenue, Central London for a nice meal made up of eggs, flour, milk and baked beans in tomato sauce. Humm, we are getting hungry already! I will be there! It will be great fun and embarrass these brain less councillors. I will join the party through the chimney with Mary Poppins. It will be nice to see the high number of bikers who will be hiting Westminster Tories right where it hurts. Well done No To Bike Parking Tax campaign! It is the money they have stolen from us that they are spending, this cannot be allowed to go on !